Personally I think some of the other major/national art groups/societies ought to be more than a little bit concerned as this new group seems to be on on the "up and up". Buyers who like plein air paintings are bound to start visiting this exhibition. 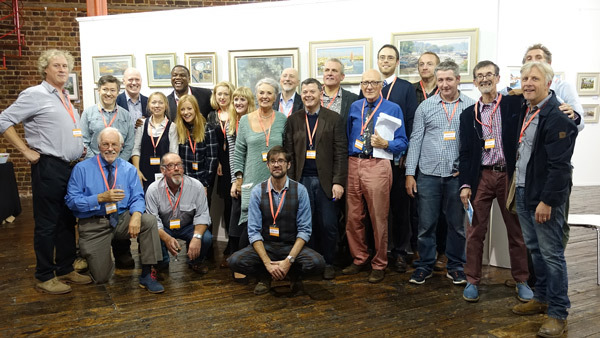 Bottom line it means competition re which exhibition generates the most sales of plein air work - and which exhibitions the collectors choose to go to in future. If it means the other societies "up their game" in terms of giving the plein air painting of their members more of a platform, it seems to me it can only be a "win win" for all concerned! 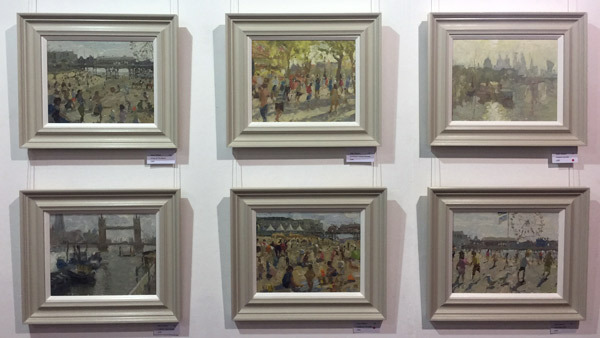 It goes without saying that paintings by David Curtis ROI RSMA and Trevor Chamberlain are perennially impressive and Pete Brown PROI is a street scene painter extraordinaire. I saw some really lovely examples of their work at this exhibition. There were also lots of individual paintings I liked a lot by various artists participating in the exhibition. I liked the group's very sensible approach to keeping on top of costs while maximising marketing for their paintings. The exhibition had been online for some weeks prior to the exhibition and paintings had been selling well online prior to the exhibition being hung. 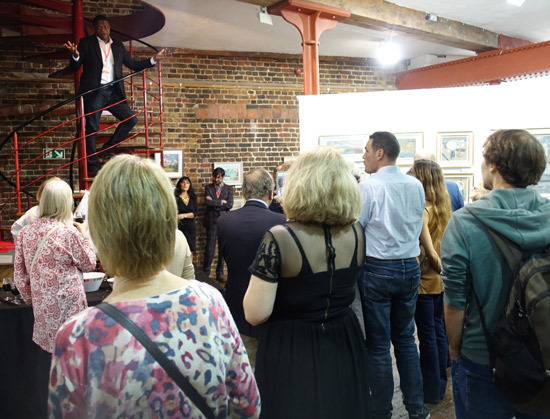 Adebanji Alade VPROI (who is the Artist in Residence for the BBC1's The One Programme) also gave a couple of great SHORT speeches during the preview about what the group was about and the importance of making a decision to buy artwork that makes you feel good. His description of how he learned to become an artist - after reading a book on how to paint by Trevor Chamberlain while a youth in a library in Nigeria - was especially moving! 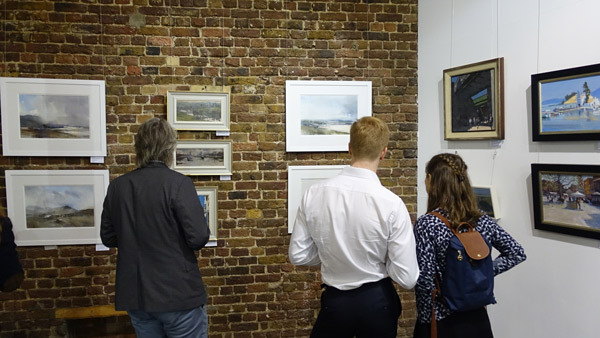 They had also decided to hire the Menier Gallery for just one week which meant that they were letting people walk out with paintings they had bought and had some in reserve to hang in the spots vacated as a result. Another thing that was great is that they decided to have the view for family and friends on the evening of the day they hung (Monday) - which meant that people who were not going to buy were not making the rooms crowded and hot - and getting in the way of collectors actually being able to see the paintings. Last night was busy - but it was a comfortable atmosphere for viewing artwork. The two previews were a very sensible idea which other art societies should copy! It's nice for friends and families to see your work - but not if it means that you make the place crowded so nobody can see the artwork and thus inhibit sales! a considerable incentive to contribute their best work to the exhibition. 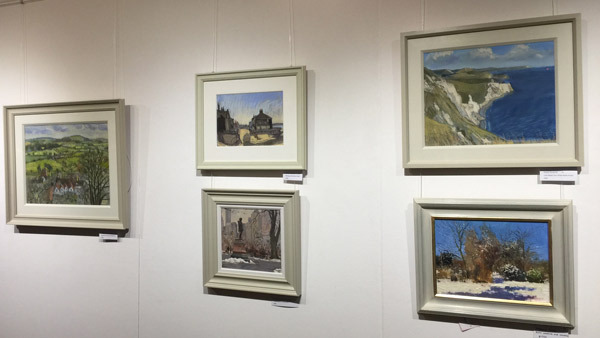 One of my perennial complaints about the artwork in the exhibitions of national art societies is the impression that they give their best work to their galleries and the next best to the art society annual exhibition. In my book that's not good enough. A slightly different business model provides a major incentive to make sure an exhibition has very good work on display! One to ponder on for all art groups organising exhibitions! It's inevitable with any new group and a new show that there are things that can be improved upon. However I have to say this group has "got its act together" in pretty short order and are already doing better in a lot of ways than some art groups/societies who are many years/ decades their senior! I understand that the exhibition was hung the way it was to be "fair" to all participating artists. Hence if artists had submitted eight works, then four were on the ground level and four were on the lower floor. Typically most of an artists's works were hung with their other works. Personally I think this represented a missed opportunity. 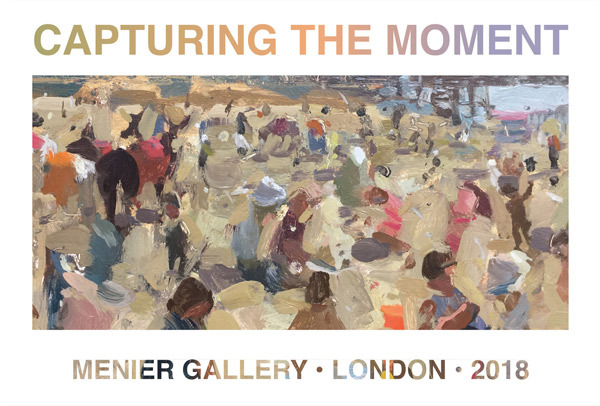 I think the exhibition would have had an even greater impact - as a SHOP WINDOW for sales to those interested in buying plein air paintings - if there had been more emphasis on themes. This makes it so much easier for buyers to review the available paintings on different themes and similar places. In particular, I'd strongly advocate for one which emphasised the number of paintings of London in the exhibition - and then marketing hard to all the nearby offices and places where people eat. The feature wall - which can be seen from the street - to mind offered an excellent opportunity to create a visual to draw people in off the street. However it lacked a "come hither" effect. International eg New York had a strong presence - but you missed it given the way the paintings were spread out. winter - there were a significant number of paintings with a winter theme. There could also be scope for other seasons too. Putting labels under paintings means that the shadow cast by a frame with depth or a major overhang makes the content of the label unreadable. Particularly for those of us who have difficulty with bending! Still life might be painted from observation but, by definition, it is NOT plein air. To my mind all still life paintings should have been banned from exhibition. (There were only a very small number - but to my mind they undermined the thing that made this exhibition different). So please - NO still life next time! 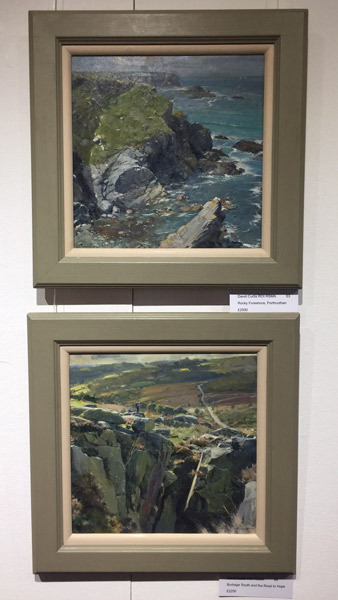 There are also enough good plein air painters in Britain to make it very easy next time to include more participating artists - all of whom paint plein and ONLY show plein air paintings in the exhibition. 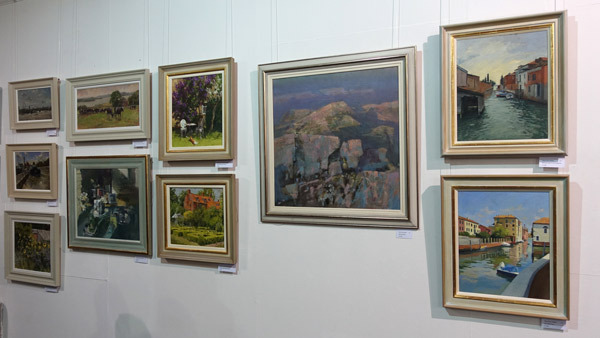 For any queries, just email us at info@britishpleinairpainters.co.uk.